Size : d3.5" w5.5" h19"
Adorable sock dolls are designed by the creative minds of the international company N03N04 (which means casual attitude to life in Chinese Mandarin), and each unique character is handmade with fantastic quality from a cotton sock. 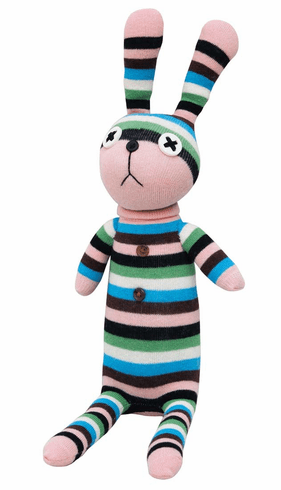 Ms. Patty the pink striped bunny is 19” tall. Wash cold.